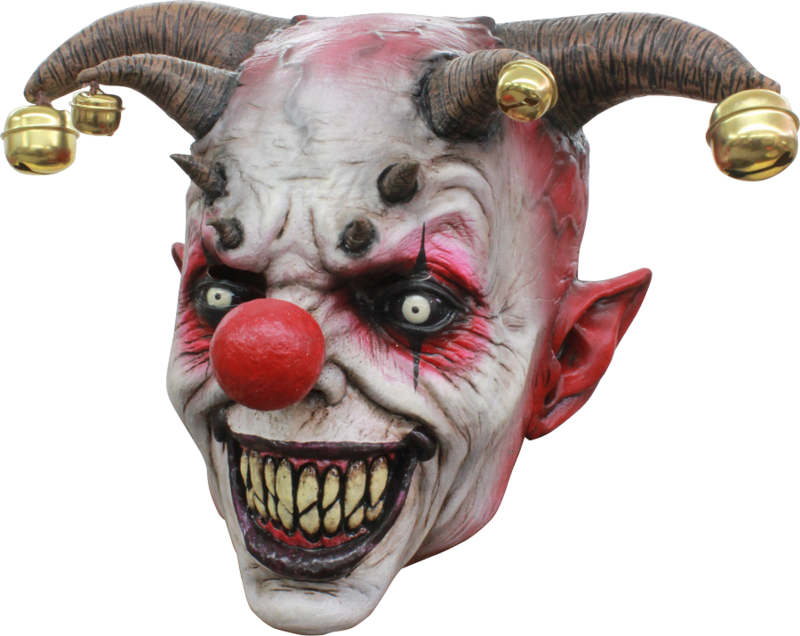 This wicked jester is devilish with horns instead of hair! Full over the head latex mask that has a bell hanging from each horn. Mask is hand painted with incredible detail.